Rosemary is one of the easiest herbs to grow, especially in Israel. It is drought tolerant and does not need too much water. Rosemary feels perfectly okay under the heating sun and is very forgiving to cold weather (up to -20°C degrees) in the winter. You can grow rosemary even in a small pot in the kitchen, or it can grow into a happy looking hedge if there is enough space outside. 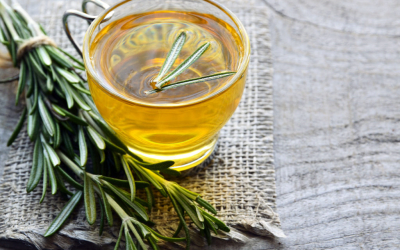 Rosemary tea is excellent for proper digestion and stress-relief, and it’s easy to make. Strip leaves of the fresh rosemary and chop them into small pieces. Take a small pan, two cups of water, add two tablespoons of chopped rosemary and put it all on the oven just to let the water start boiling. Let the mix sit for an hour to increase the strengths of the herbs. When it is ready, separate the herbs and serve the liquid in your favorite teapot. Smells of fresh forest, the sea, and good vibes are guaranteed. Rosemary oil is known for a range of possible health remedies. It is a rich source of antioxidants and anti-inflammatory compounds, which help boost the immune system and improve blood circulation. Most commonly rosemary oil is used for hair growth. 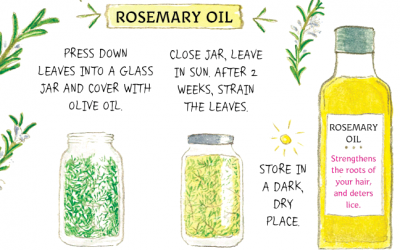 You just need a few rosemary leaves, jar, and olive oil to make rosemary oil. Press all the leaves into a glass jar and cover with olive oil, keep the closed jar in the sun for two weeks and afterwards store it in a dark, dry place. 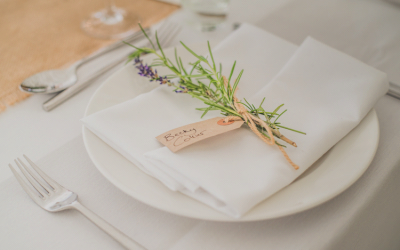 You can use rosemary for name tags on the table or use it to decorate a gift to create a memorable atmosphere. Just take ready-made name tag or create one by cutting a piece of paper and make a hole in it. Write a name on the card, cut rosemary and thread it into the hole. Simple and very cute. There are many other natural and simple ways you can benefit from growing rosemary at home. If you want to learn more about different herbs and plants you can grow year-round in an Israeli climate, check Ilana Stein’s “A Year in the Garden”, a Gregorian calendar that helps the (Israeli) garden grow. It will take your through the year by seasons, showing what grows when, and how, and what you can cook make with what you grow (seasonal vegan recipes). The post was originally published in Times of Israel.